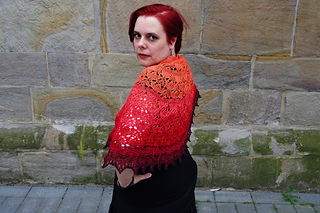 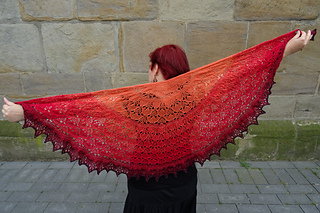 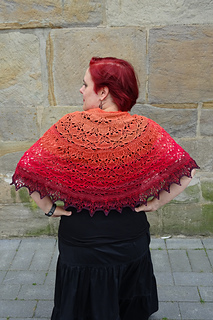 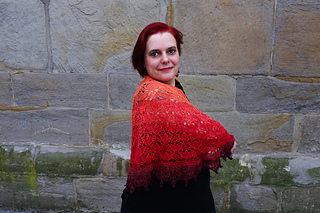 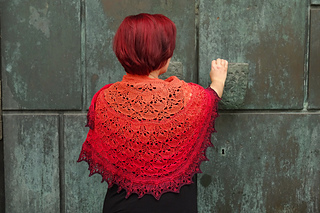 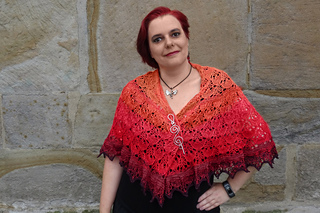 Fire Dragon is the first in a series of dragon inspired shawls and scarves. 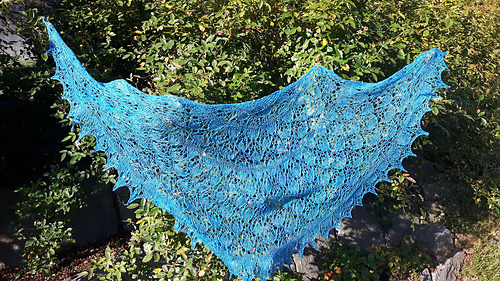 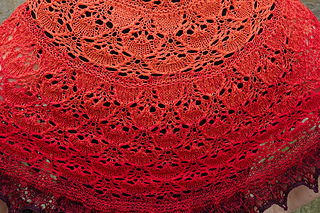 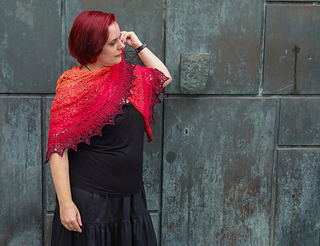 This shawl featurures a dragon-scale lace pattern with garter ridges. 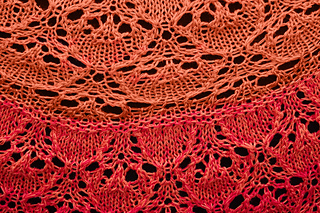 The lace is a 16 stitch repeat over 10 rows. 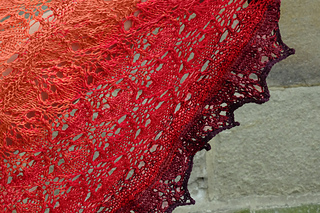 The half-pi construction means all increases occur in garter stitch, making this suitable for intermediate lace knitters. 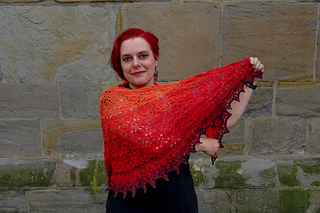 Instructions about how to adjust the size or to make the most of a gradient yarn are included.